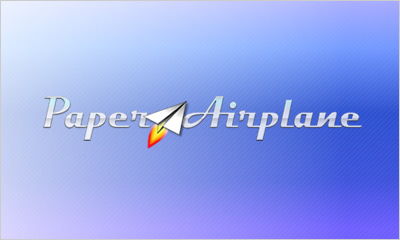 Paper Airplane is a Mozilla Firefox plug-in that provides an easy, cost-effective way of creating collaborative communities by integrating a web server and content creation tools into the browser. A peer-to-peer network is created among all running Paper Airplane nodes to resolve domains, reach normally unreachable peers due to firewalls or NAT devices, and replicate P2P site contents. The name and identity allude to the ability of expressions and ideas, represented throughout the design system by a simple, blank sheet of paper, to travel great distances if given the proper "escape velocity." Paper Airplane presents the end user with a seamless, almost magical, experience.